Mumbai 07 August 2016: Soya chili is one of my favourite vegetarian dish. It is a brilliant substitute for Chilli Chicken and tastes really awesome and tasty. 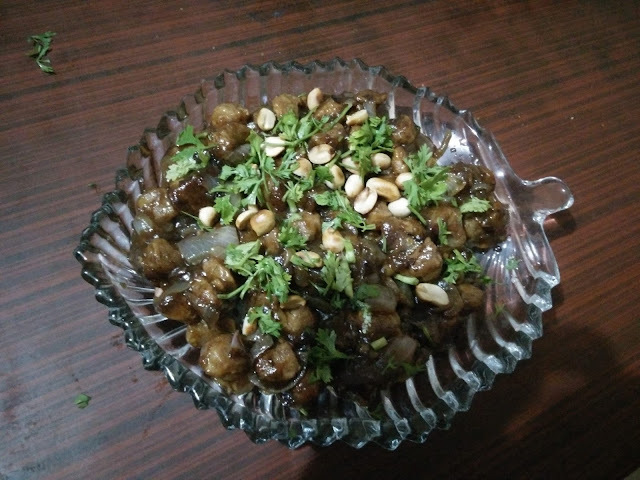 This Indian Chinese fusion recipe is made of soyabean chunks or nuggets. this dish is cooked with few masalas and different sauces. One interesting fact about soya is that soya has more protein than chicken. Soya chili tastes the best when served with fried rice. Soya chili can either be prepared dry or with gravy both taste super nice. Soya dish is very healthy. 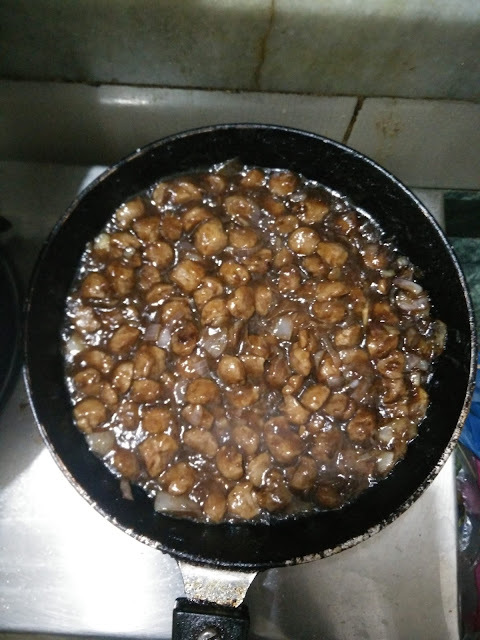 Soak soya chunks in hot water with salt for 5 minutes. Then squeeze it, boil it in water with salt until its cooked. Drain the water and squeeze dry the soya chunks and keep it a side. Now add cornflour, salt, pepper and chili powder and marinade the soya chunks. Heat a non stick pan with a tablespoon of oil and first toss the marinated soya chunks until the corn flour turns transparent. Add another tablespoon of oil and fry ginger garlic for a minute. Add the onion, spring onion whites and fry till translucent. Now add the capsicum and fry for a minute. Now add the tossed soya chunks and mix well. Dissolve corn flour in 1/4 cup water and add it. Squeeze the lemon and toss well. Lastly add the green part of spring onions and you soya chili is ready to be served.